Sarah Mangion designed these business cards for her self-branding as a graphic and digital designer based in Australia. “The business cards are for my own print materials and website. 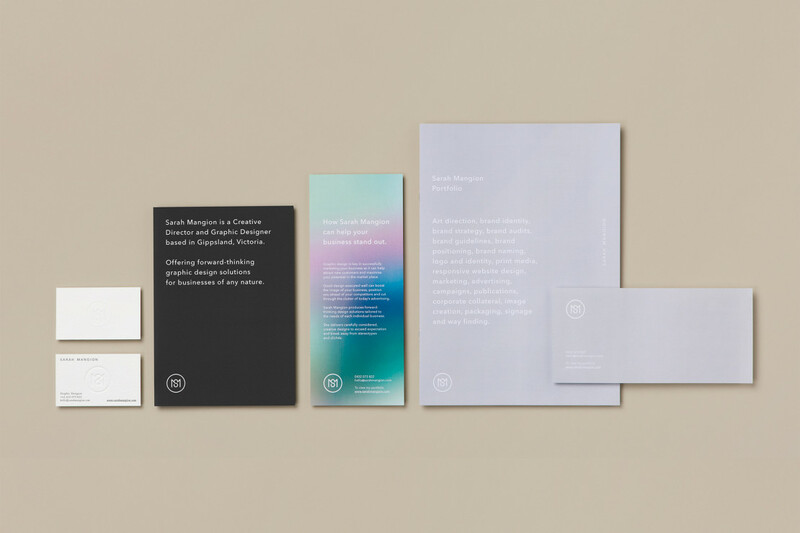 The goal was to create an understated, simple and timeless identity,” Sarah replied. Sarah uses her monogram as part of the logo. By using the blind embossing technique, she’s able to create a beautiful raised texture for the logo; while on the other side of the card, her name, contact details and web address are arranged neatly at the sides, giving space to the debossed effect. What a simple yet classy way to make an impact! These business cards were printed by The Hungry Workshop using Wild 450gsm paper stock, applied with both letterpress and blind emboss printing techniques. It’s a brilliant design that shows you don’t have to be complicated to be amazing!